Silverstone has launched a new cooler aimed at deployment in slim PC systems. 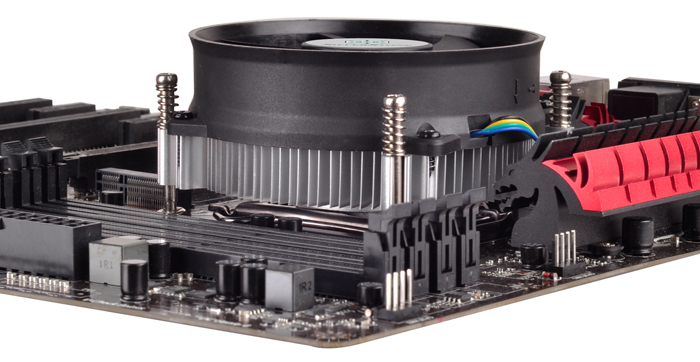 The Nitrogon NT09-115X low profile heatsink and fan combo which is just 45mm tall but is rated for processors up to 65W TDP. This product is intended only for Intel platforms based upon LGA 1156/1155/1150/1151 processors. The heatsink part of the Nitrogon NT09-115X is constructed from aluminium and is shaped into a familiar fin-based design to maximise cooling surface area and thus heat dissipation. Atop of the circular heatsink a 92mm fan sits directly. 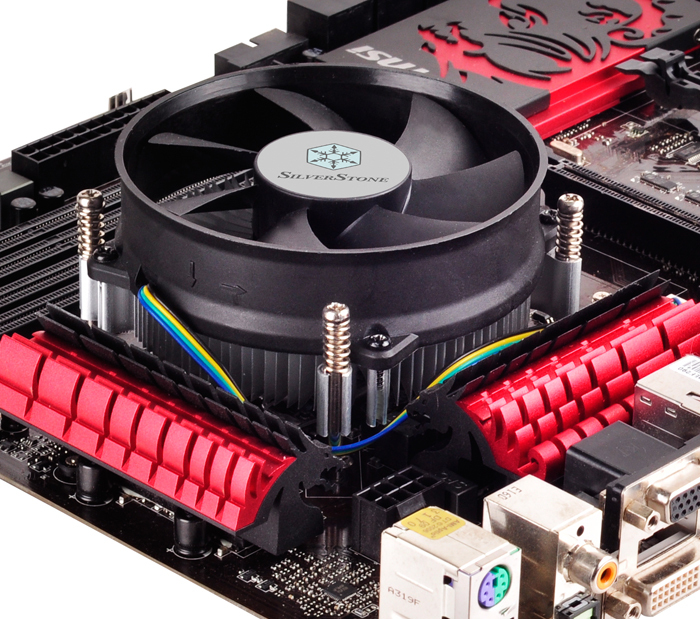 Silverstone describes this fan as a 'custom quiet' PWM 92mm unit - in the press release sent to HEXUS it actually uses stronger wording, calling the fan 'silent'. As mentioned in the intro the fan only works with modern Intel systems; those based upon LGA 1156/1155/1150/1151 socket processors. Helping you fit the Nitrogon NT09-115X tightly, safely and securely Silverstone supplies a reinforced back plate - that should help provide superior contact and heat transfer. So if you want to build a slim PC system based on an <65W Intel CPU, this new Silverstone cooler might be a good choice. The price is pretty reasonable at 13.75 USD plus any sales tax, and NT09-115X availability is scheduled for today. I've included the full specifications list below. 32Db is a lot of noise. Actually no it isn't bearing in mind that the dB is a logarithmic ratio, not an absolute measurement. But the article quotes 32 dBa (maximum) which is very quiet. The standard analogy is that 30 db is equivalent to being in a whisper quiet library. However, you have to remember that the CPU cooler will not be the only source of noise from your PC (Graphic card and PSU at least, probably 1 or 2 more fans and maybe memory cooler). The loudest of my fans is 22dB, with the quietest being around 17, but I spent lots of money on those. Airflow is pretty crap at 47CFM, but it's an SP fan pushing 2.8mm/H2O which is rather reasonable - Beats my old Noctuas on performance by a gnat's whisker*… 0.1, to be exact.